A new spot to score fast food and burgers has debuted in the neighborhood. Located at 180 El Camino Real, Suite 950, the newcomer is called Shake Shack. This location marks the Shake Shack chain's first move into the California Bay area. Its menu offers roadside-inspired eats like its ShackBurger (single or double cheeseburger with lettuce, tomato and ShackSauce), along with hot dogs, fries, custard and more. Shake Shack has gotten good reviews thus far, with a four-star rating out of 42 reviews on Yelp. 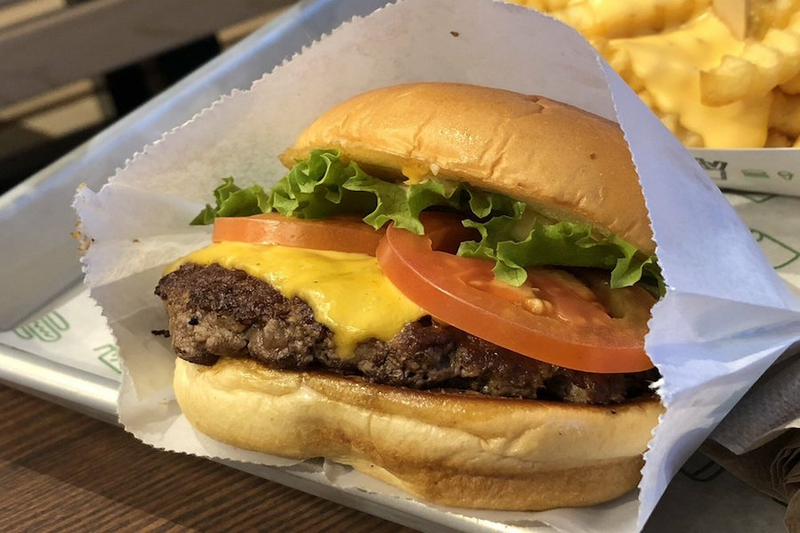 Yelper Vy T., who was among the first Yelpers to review the new spot on December 15, wrote, "I love Shake Shack so much. It's becoming an addition. I could eat it for breakfast, lunch and dinner. I get the shack burger with cheese fries on the side. The burger is so tender and all of the veggies on top are so crisp." Shake Shack is now open at 180 El Camino Real, Suite 950., so stop by to welcome the new business to the neighborhood.